With summer fast approaching, we’re looking at the top hair and beauty trends we can incorporate into everyday life during the new season! With clean skin, smudgy eyes and casual holiday hair all making an appearance on the Balmain, Isabel Marant and Alexander Wang catwalks, it’s easy to find looks to take inspiration from this year! 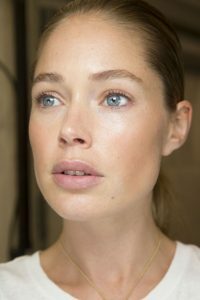 The no makeup, makeup look is a winner for summer; who wants to be walking around in the heat, with a full face of makeup on? Not me, that’s for sure! But preparation is key to this trend, so start thinking about it now; vitamin C and optimum hydration will keep any blemishes at bay and go a long way to achieving that illustrious glow – and Zero Skin’s skincare range will most definitely help, too – but concealer and a finishing powder are key if you don’t feel fully confident to bare all (as shown at both Michael Kors and Proenza Schouler). 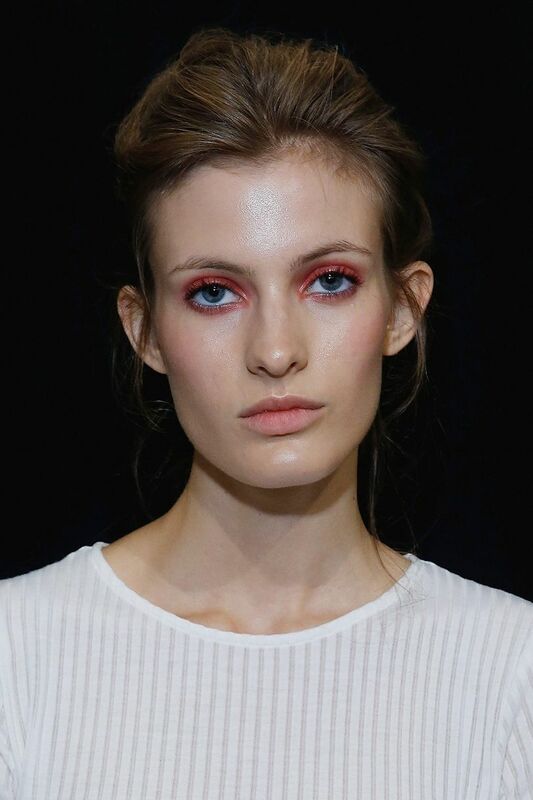 At the Tadash Shoji and Hermes shows, colour wash eyelids were all the rage! Simply sweep your favourite colour across the lid (we’d recommend a Spectrum brush! ), and complete with liner to neaten up any untidy edges. One for the brave, bolder is better with this look! Red lips are perfect all year around, so it’s no wonder they were big on the SS17 catwalks, with models at Roksanda, Jason Wu and Mary Katrantzou all sporting the look. Keep the rest of your makeup minimal when sporting this bold lip colour, and make sure you choose a red that is right for your skin tone. Finally, apply using a lip brush and finish with a pencil for that perfect catwalk look. The hair at Versace SS17 took us back to our teenage years, when super straight hair was the only look to rock – easy to create on any hair type and already spotted on the likes of Kim Kardashian, it’s sure to be a popular one throughout the season. Get the look at home with The Power Styler attachment for your hairdryer – and the range of Power Style boar bristle brushes, too! On the other end of the hair styling spectrum, Blumarine’s models were sporting natural waves – perfect whether you’re on the beach or in the office. To achieve, scrunch a small amount of mousse or salt spray in to damp hair and leave to dry naturally. Which looks will you be trying out this summer?